Wired Magazine reports that new Formula One boss Jean Todt is telling teams to become more environmentally friendly voluntarily if they want to avoid restrictions designed to make the racing series more eco-friendly. According to BBC Sport, joining FIA to spearhead the project is former Ferrari F1 engine chief Gilles Simon. 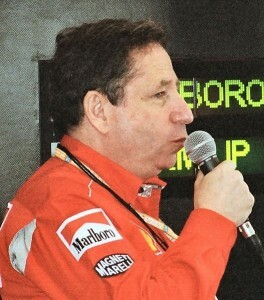 The timing of Todt’s statement is curious, as the McLaren, Ferrari, Renault and BMW Sauber teams rejected the Kers energy recovery and power boost systems that were implemented in 2009.